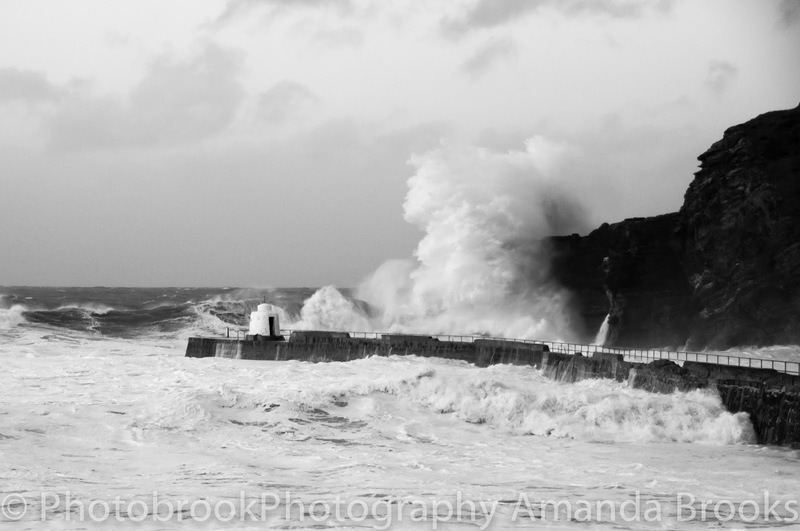 On February the 8th 2016 Britain was hit by yet another storm. 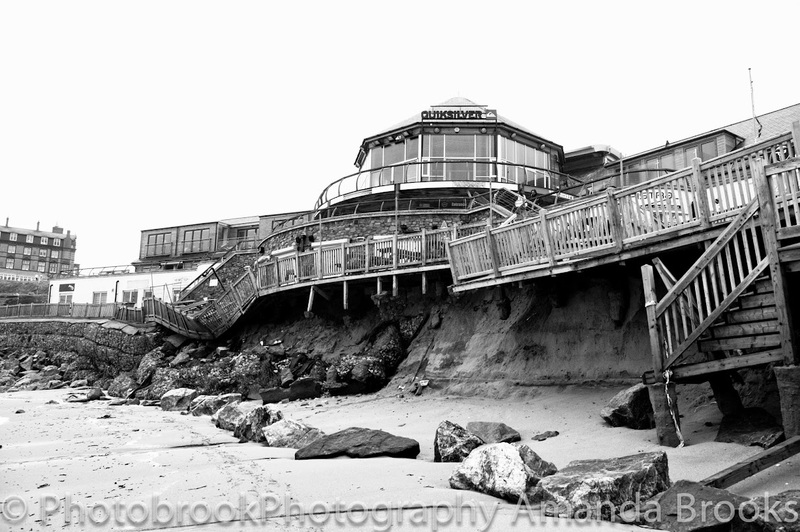 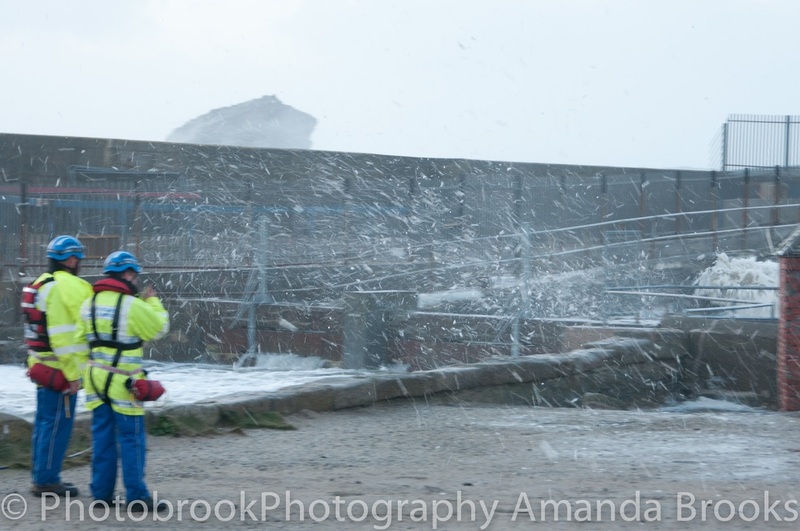 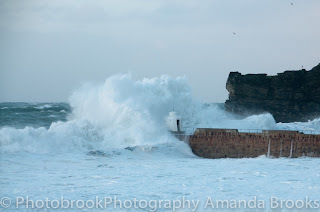 Yet this latest storm, Imogen was certainly an angry lady! 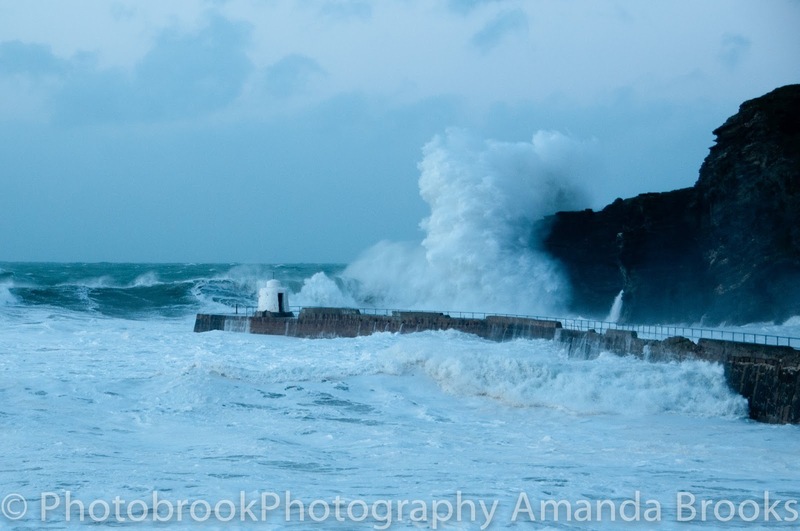 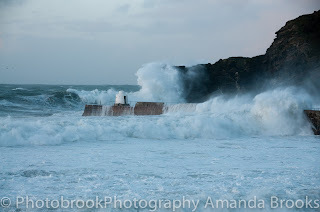 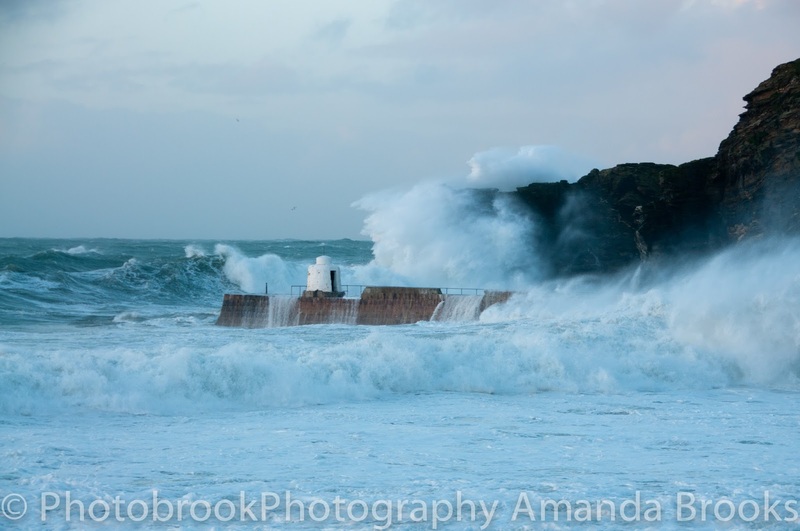 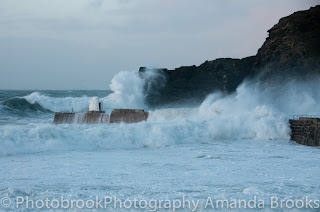 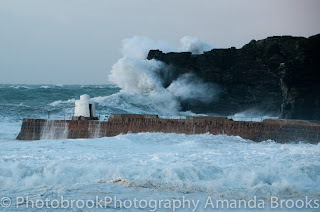 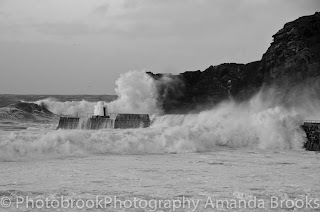 After a weekend of torrential rain and flooding across Cornwall today was the time for giant waves battering the coasts and gale force winds howling onto shore. 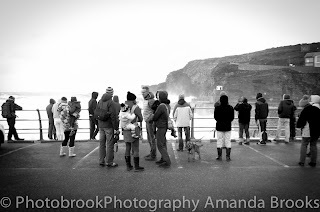 Winds were reaching speeds of up to 79mph across Cornwall and although the day was relatively mild and even saw glimpses of sunshine and not a drop of rain in sight the real drama was on the coastline were high tide hit at 5.10pm and crowds of people finished work and headed to the coast to witness mother natures epic show. 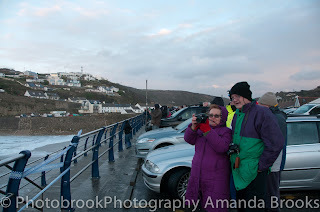 Myself with many other people had the same idea. 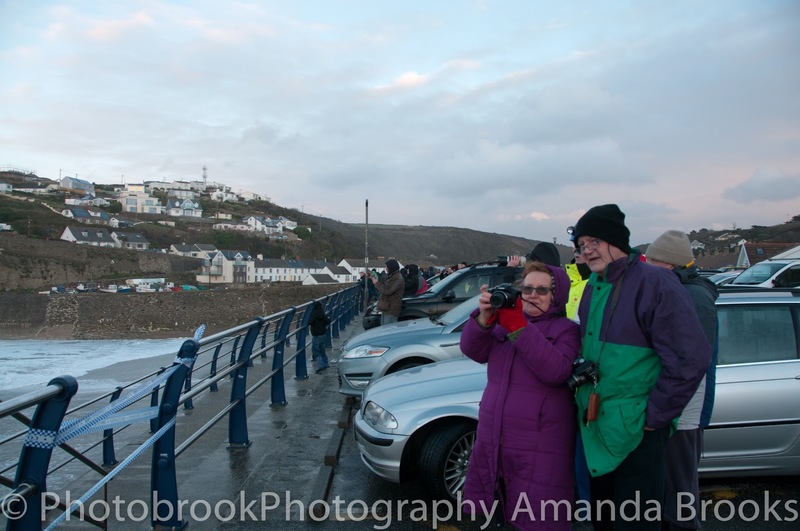 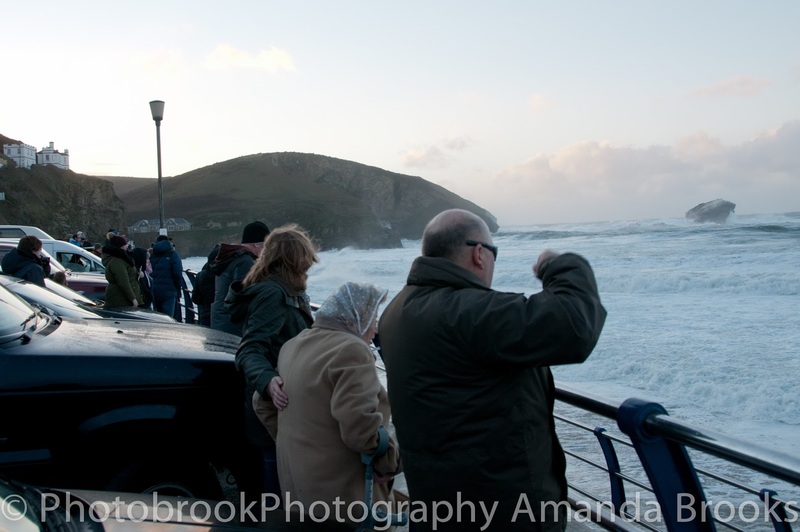 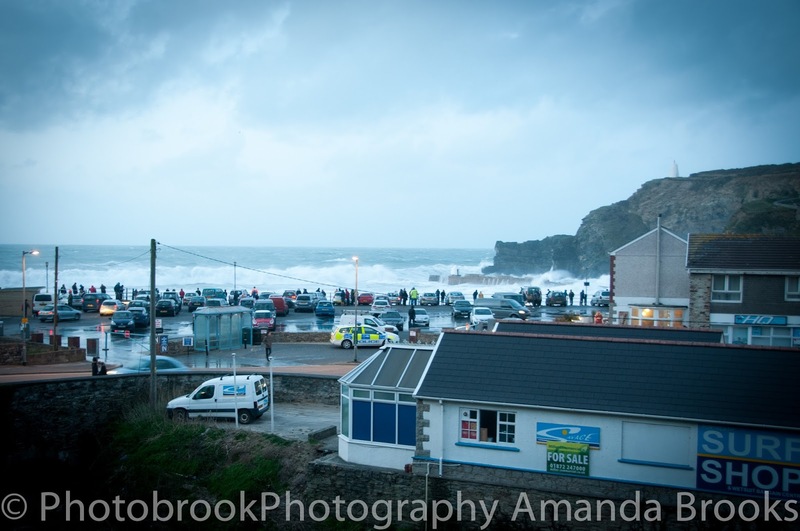 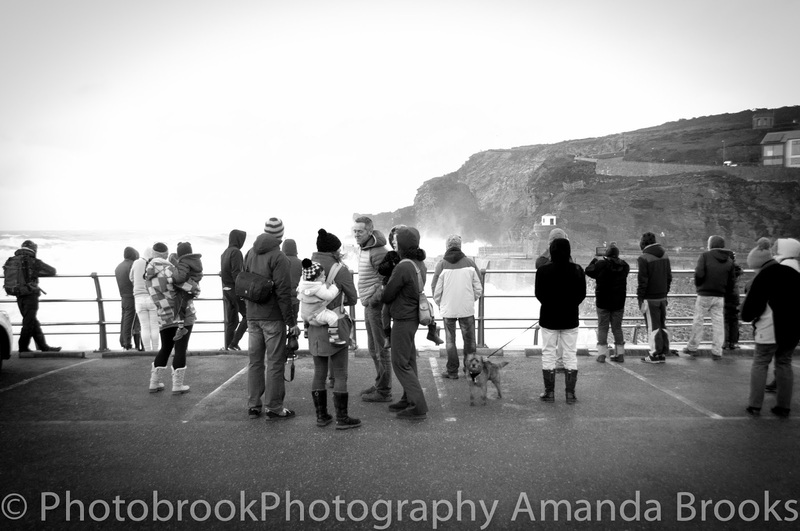 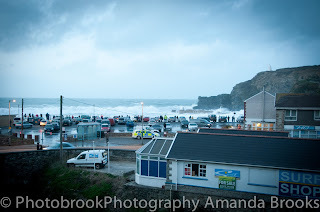 Filling the carpark at Portreath were crowds of people, whole families, children and even the elderly all taken a spot to watch the phenomenal waves come rolling in. 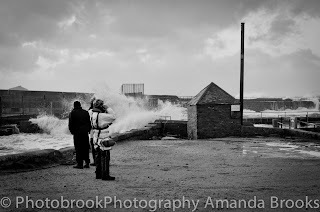 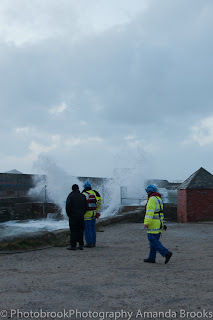 It all felt safe, keeping a distance from the waves and not going onto the beach and feeling the safety of several coastguards and police in attendance only having to tell a small minority that they were perhaps a little too close to the water. 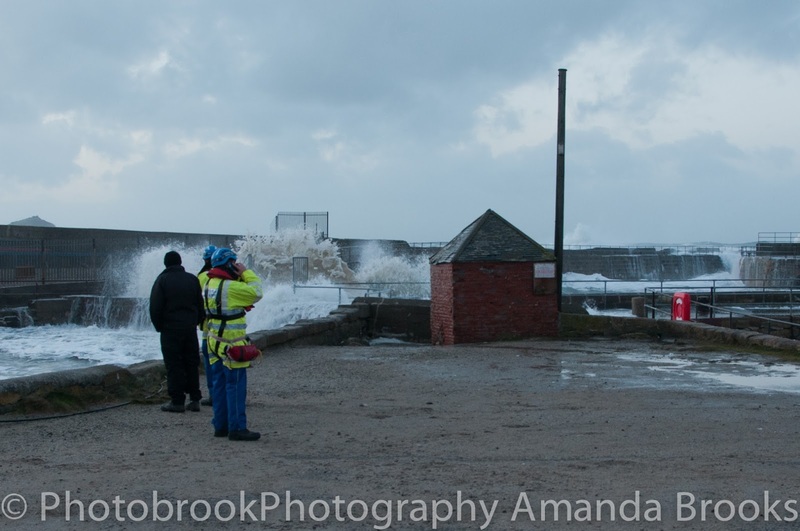 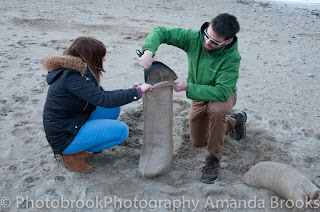 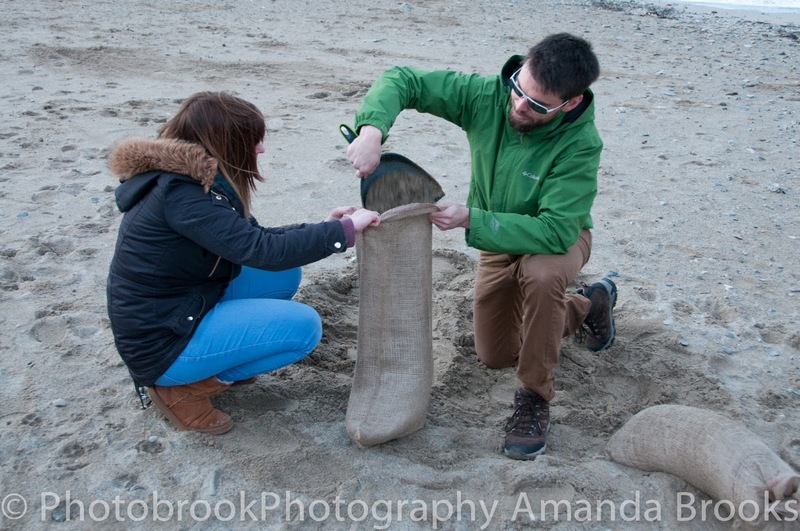 One couple were down on the beach frantically filling sand bags as they feared there house close to the harbour would flood. About an hour after high tide had been and gone, one rogue giant surge of water came pouring into the carpark and many people were seen running away from the water and the water rushed and swirled around the many parked cars. 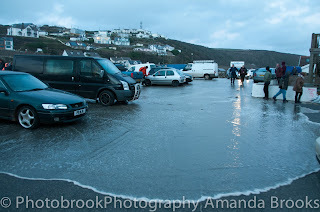 Soon people were quickly leaving the car park for fear of more rogue waves loaded with debris would come crashing into the car park. 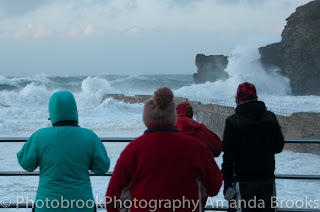 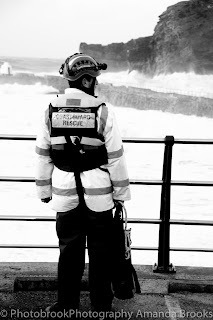 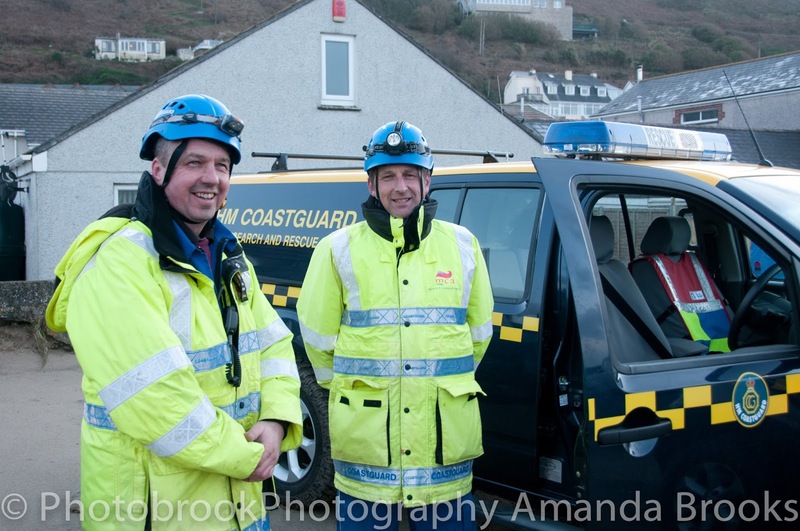 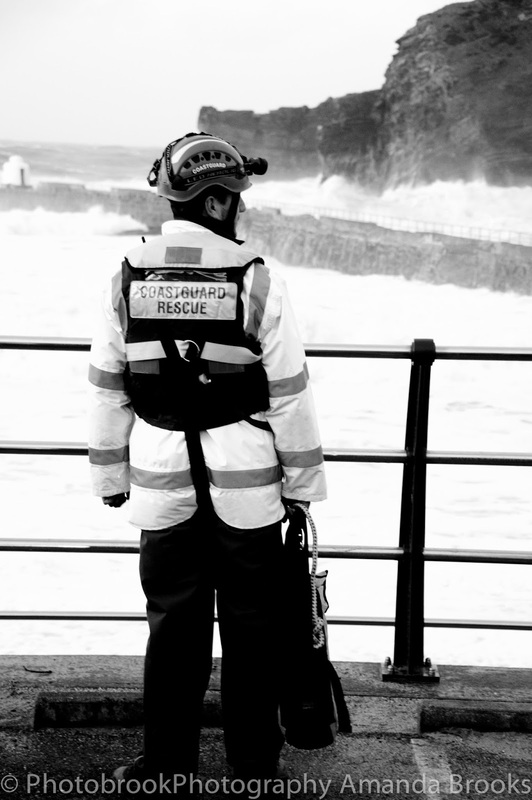 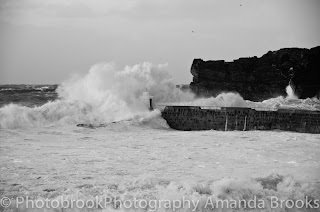 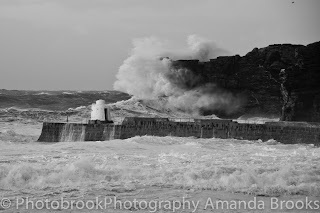 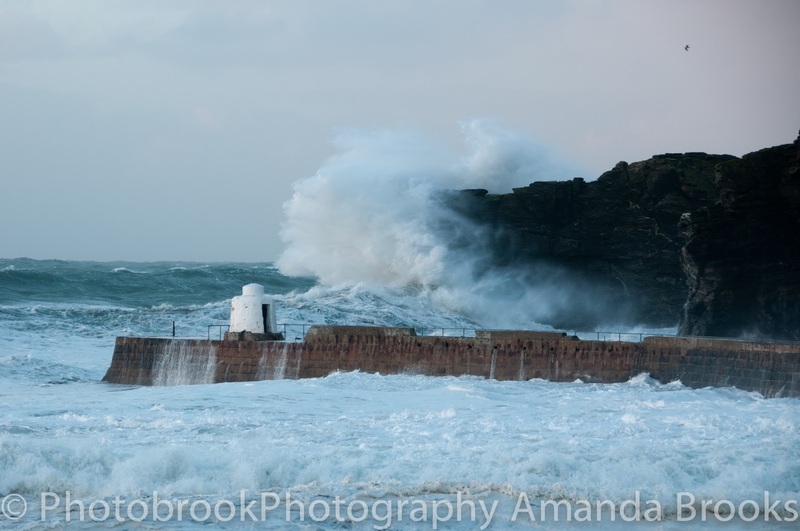 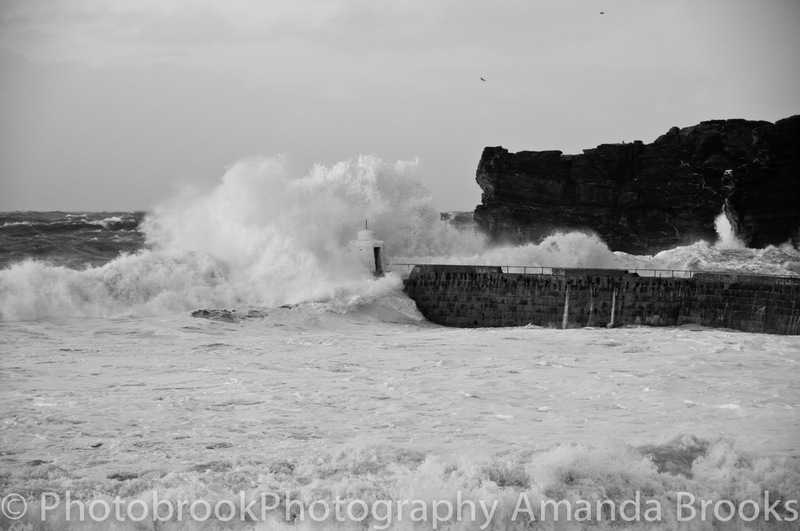 I just wanted to say what a fantastic job the local coastguards and police were doing keeping everyone safe, roping off dangerous areas and making sure that no one risked their lives for that elusive glimpse of such impressive seas. 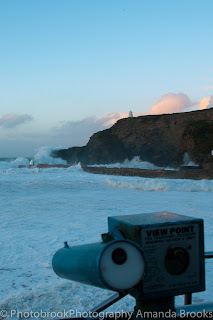 The tide is now on its way back out and when it comes back in the wind will have completely eased and the swell dropped right back and hopefully no damaged has been caused by dramatic storm Imogen.